With summer coming to a close and the only memory is those peeling shoulders of yours, it’s time to beat those September blues with Luckies range of novelty stationery. Whether it’s back to school or your first Freshers, splash out on a new pen and paper and take note while studying in style this September. For every other student, the first few weeks of uni welcomes crying into Jägerbombs and an existential crisis, yet for the Fearless Fresher and their novelty stationery, Rubber Jonny, such mediocrity was long left at high school. With a pack of three novelty erasers disguised as condoms, the September blues is a September schmooze, checking out the talent who need a helping hand with those dastardly pencil mistakes. Oi oi. With August annual leave used up, your work chums are sure to be chasing rainbows throughout September with planning next year’s big summer trip. Brighten up their return to work with the novelty stationery gift of Rainbow Sticky Notes – 250 memo notes in 5 rainbow colours. Their bright and cheery style will not only beat all September blues but also encourage Janet (Office Manager for 15 years and total you know what…) to up her game with the office stationery order. For the fancy freelancers that drift between Starbucks and their sitting room writing copy and designing sky scrapers, the September blues is forever lurking as their pals return to work. 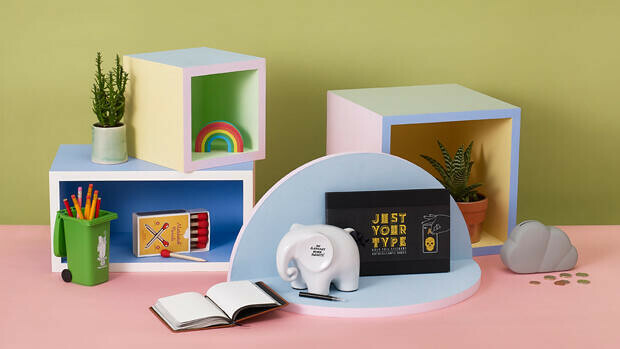 Novelty stationery gifts like Geppeto however will keep them company throughout the day as this fun pencil and sharpener set will keep them on point and pardon the odd thinking out loud. Geppeto is there to listen. Aww.